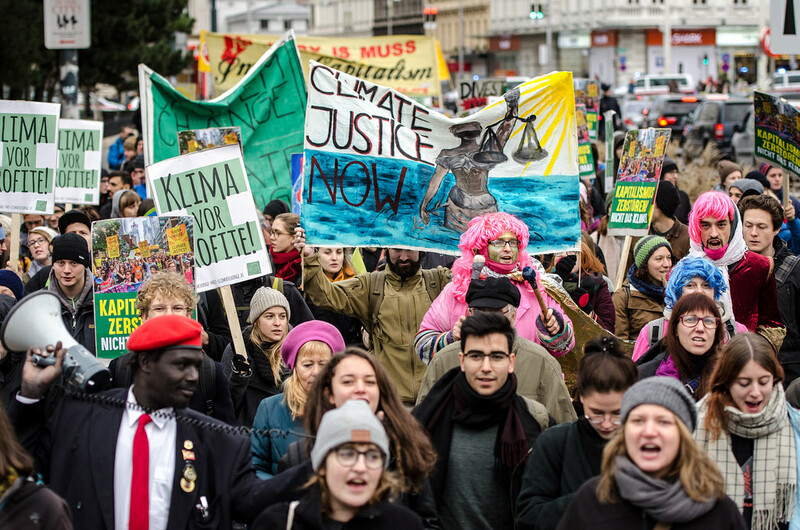 Demands for real climate justice got a welcome boost recently as youth walked out of schools worldwide on March 15, urged to go “on strike” by sixteen-year-old Greta Thunberg from Sweden. Images in mainstream and social media exploded with pictures of young people marching into plazas across the world, confronting intransigent elected officials and speaking truth to power. Youth have always brought two essential ingredients to social movements: moral compass and an exciting, unique form of energy. Their vision is bold, and they are uncompromising. But to halt and reverse the carbon economy, save the planet, and create a future with jobs that youth will look forward to requires far more power and a serious strategy.